Envelopes are ruled for interdepartmental routing. Holes allow visual acknowledgment of contents. Reusable flap has a self-seal design. 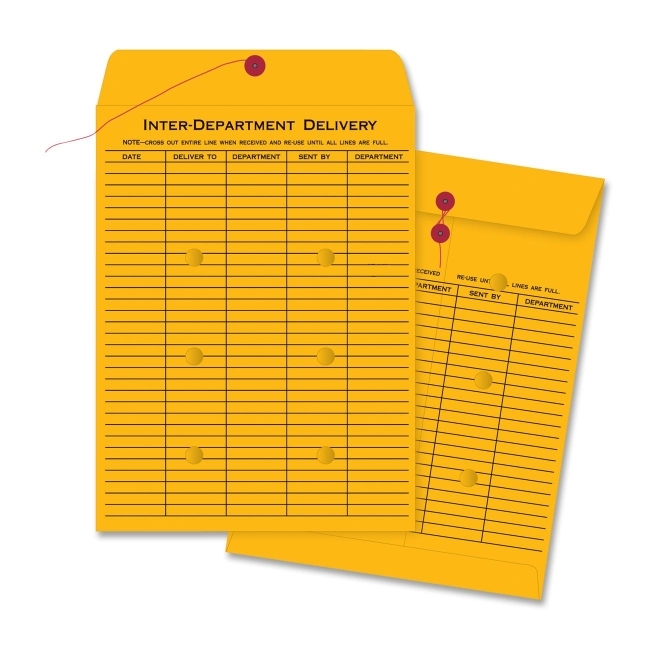 Envelopes are printed on two sides with designated spaces for date, sender, recipient and their departments on each entry.